Well helloooooo! I’ve been interning at a PR agency for the past couple months so I’ve been crazy busy! 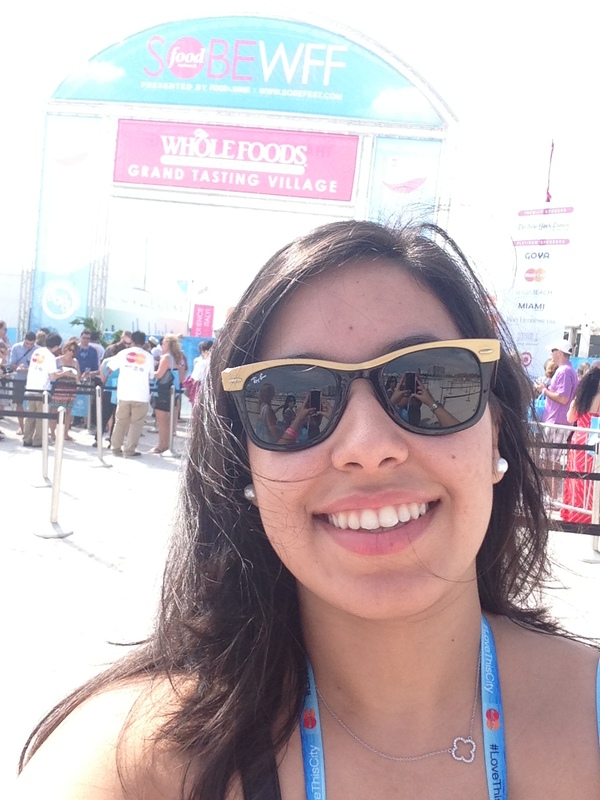 But I realized I never wrote about my experience at the 2013 South Beach Wine and Food Festival (SOBEWFF). I wrote a post about some cool free events from SOBEWFF, but never recapped my time at festival. Like I’ve said in previous entries, I worked as a press and media associate in the festival last year and had a great time. But this year, I was so stoked to actually go as a guest to both days of the Whole Foods Grand Tasting Village and enjoy all the celebrity demonstrations and yummy food!